Hi Marina, did you know it’s Girl Scout Cookie Season? There is still time for your troop to participate! There's more to Girl Scout Cookies than what's in the box. 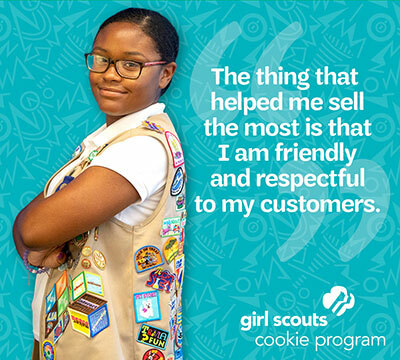 By selling cookies, Girl Scouts learn to set goals, make smart decisions, manage money, and so much more. They gain the skills that will turn them into tomorrow's leaders. Are your girls wanting to lead a special community service project, work towards a bronze or silver award, or maybe save up for an exciting outing? Earn money to make it happen by participating in the cookie program. See What These Troops Have Been Doing! 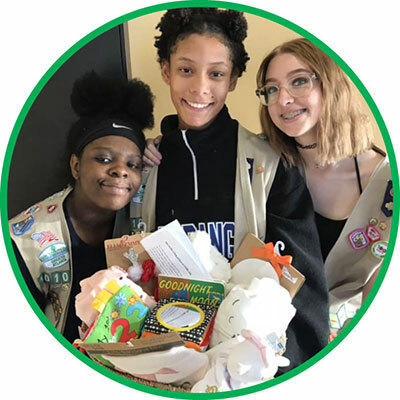 Troop 10100 in LaGrange (Troup Service Unit) made a baby girl gift basket and wrote a letter to the first baby girl born on October 31st, Juliette Gordon Low’s Birthday. They even got to meet the proud parents who were very appreciative of the gifts. Troop 2029 worked together from start to finish to earn their Bronze Award. 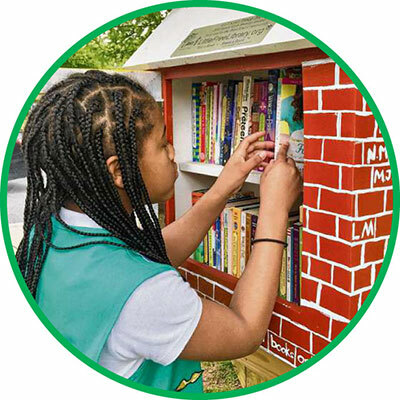 They built a Little Free Library and planned a ribbon cutting ceremony and dedication to the West End Community. Want to Participate in the Cookie Program? !